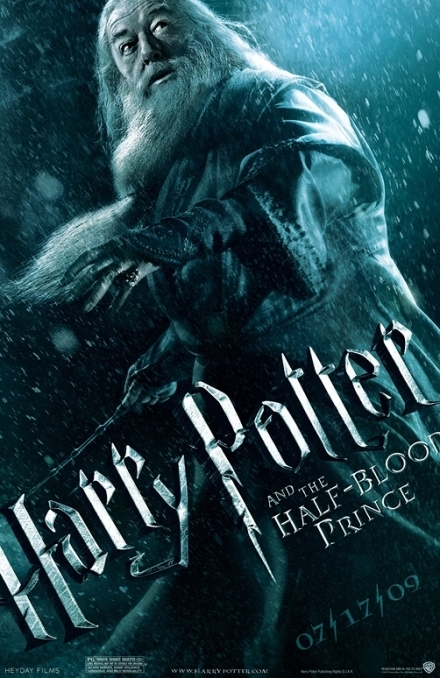 The international movie posters for Harry Potter and the Half-Blood Prince are out. 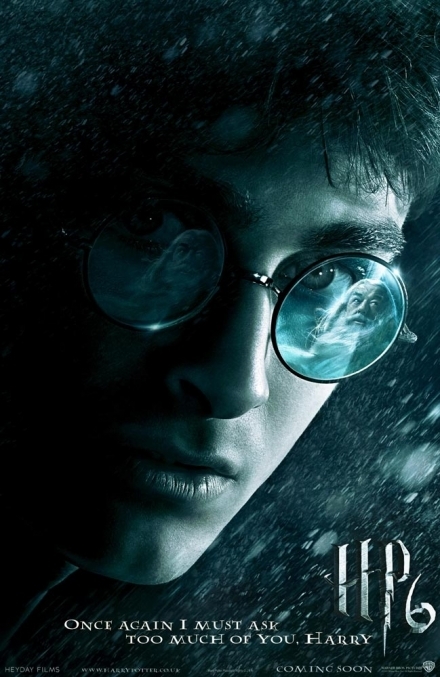 I like how the first one is a close up on Harry's face and reflected in his glasses is Dumbledore. I fear that I know what scene this is from and wonder how I will handle that point in the movie. Probably with tears like in the book. I like this poster of Dumbledore and puff with pride that they are featuring and drawing attention to the ring on his hand... well done!